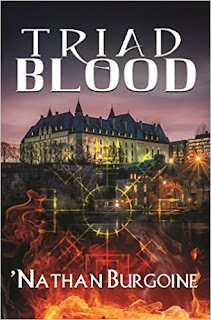 I liked Mallery's writing and I'll be checking out some of her other books -- stand alones, etc-- to see if I want to continue reading her books. These were my first by her. Glad you got to enjoy at least one of the books! Lol. I was pleasantly surprised that I was able to like Garth in his book because I didn't think I would from his evilness portrayed in the sisters stories...I find it funny -- and makes him more likeable -- when he panics when his sisters gang up on him. Lol! Tabitha, thanks again for the books! I enjoyed reading a "new-to-me" writer. :) And, I definitely liked the way Mallery writes -- she keeps you reading. 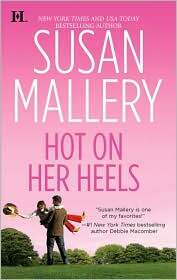 Hot on Her Heels was definitively the best book in the series, no contest :) and as a whole, it was a good book as well :) Loved Dana and Garth. In part, I think because they understood each other so well LOL. In Straight from the Hip, I wished Izzy has not recovered her sight. It would have been more interesting if she had remained blind. I can understand why Izzy would wallow. Losing your eyesight is a tough, but you're right... It was out of character for Izzy. Ah well. Nath, you're so right. Hot on Her Heels was absolutely the best of the series. It was well rounded, character and storywise. Straight from the Hip *sigh*... it's not the fact that she was upset about being blind, it was her fear and attitude over everything. It was not like Izzy at all... the surgery, for goodness sakes... that's something our Izzy wouldn't have thought about twice. Your idea about her staying blind is a good one, though, it would have made things interesting. I think it's because the eye surgery makes it so final. There's still a chance as long as she doesn't do the surgery... but if the surgery doesn't work, then even your hope is gone. You're right though, the Izzy in this book didn't seem to be the same one we've seen... but blindness is really scary ^_^; In a way, you can't fault her in my opinion.